Summer is right around the corner and that means fun in the sun, BBQ’s, pool parties and tons of get togethers at our house. I love to have things on hand to make simple fruit dips, either made with fruit or to dip a variety of fruit in. It makes eating fruit more fun, doesn’t it? It’s a fantastic way to jazz up simple fruit to entertain guests or just a snack for the kids on a hot afternoon. When I add any thing my kids can dip their food into they are all over it. I love to use strawberries especially since we always have an abundance of them over the summer. They are a favorite at our house! So I did a little hunting around for my 26 favorite fruit dips. Perfect pairing for your summer fruits and still on the lighter side for your summer entertaining. 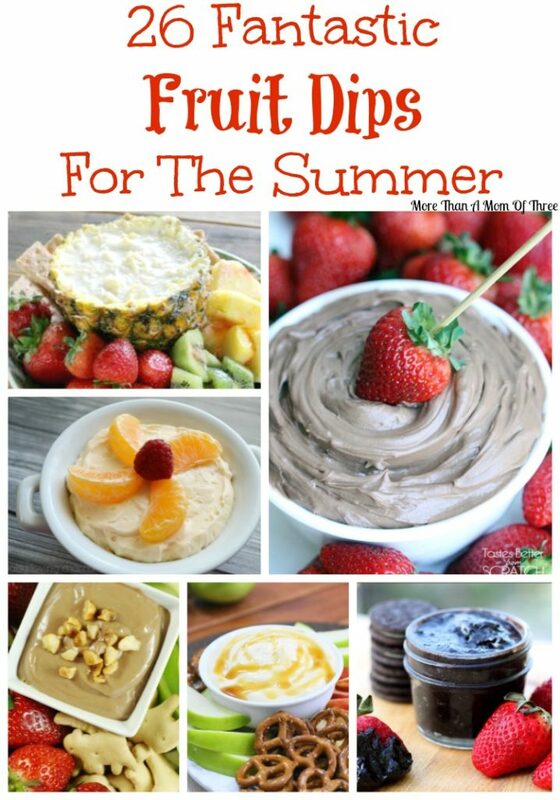 Most of these fruit dips require minimum ingredients and can be made within 10 minutes or less. No one has time to be slaving in the kitchen over the summer. What are your favorite fruit dips to serve over the summer? 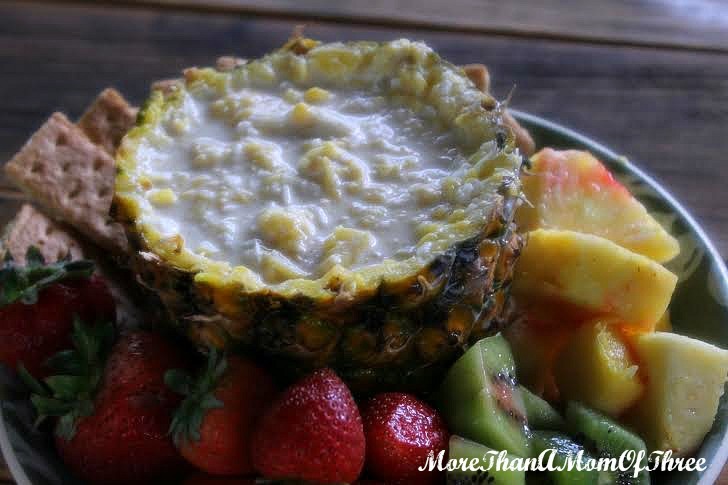 This delicious and refreshing tropical pineapple dip is a great light dip for these hot summer days. 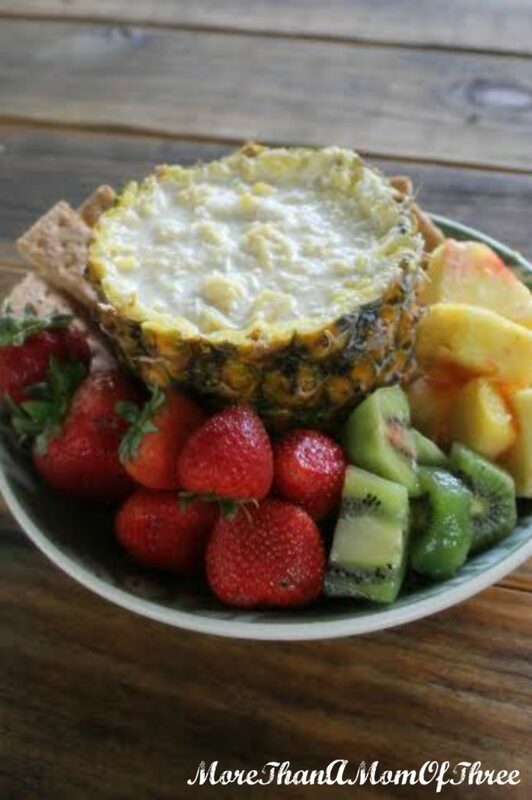 The mix of fresh pineapple with coconut is delicious and summery while the creamy yogurt not only adds a punch of protein and calcium making it a healthier and creamy. Since this recipe only calls for a few ingredients it is simple to whip up a batch for a nice appetizer for a BBQ or just a sweet treat for the kids. You can set your dip out in the pineapple “shell” and you will have an adorable conversation piece as well. Anything served in fruit always has a certain wow factor and makes it look so fancy. You can serve this with additional fresh fruit, pretzels, and graham crackers, they all pair beautifully. Cut off top 1/3 of pineapple. 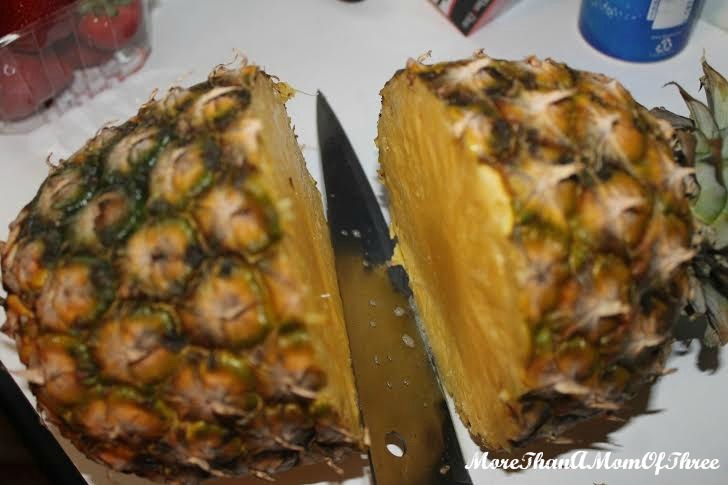 Using a long, sharp knife cut around inside of pineapple about 1/2” from the rind all the way around. 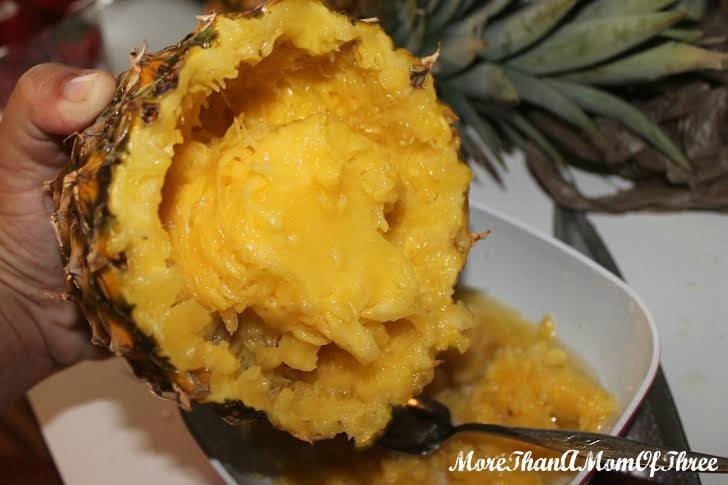 Scrape out all pineapple around core down to 2” from the bottom and place in a large bowl, shred with forks, drain out most of the juice. Set aside. With fleshy part of pineapple removed you can now take the knife and remove the core, throw it away. 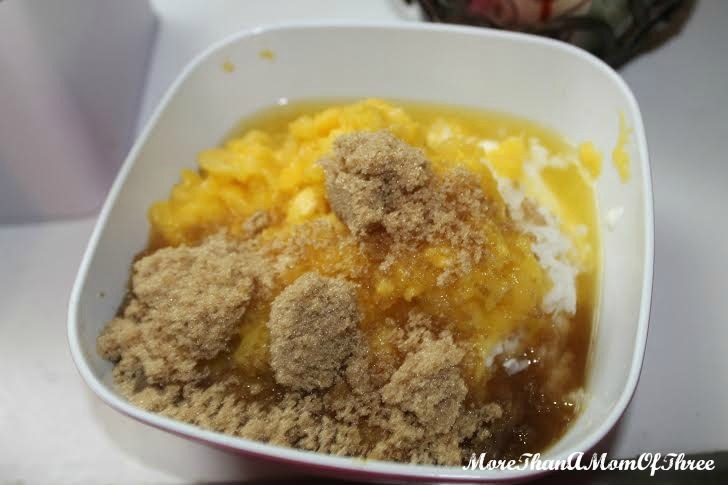 Add the yogurt, coconut, and brown sugar to pineapple and stir well to combine all. Place dip back in your hollowed out pineapple for serving. Replace pineapple top and store in fridge until ready to use.